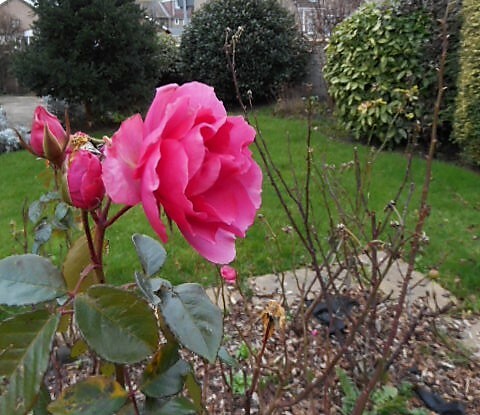 Years ago we had roses flowered right through the winter, but it was a mild winter that year. Looks like you have it mild where you are this year, was interested to see some daffodils out in gardens here this morning. Very early for them because it's just not been that cold. Gorgeous Azure. It's lovely to see such colour so early in the year.